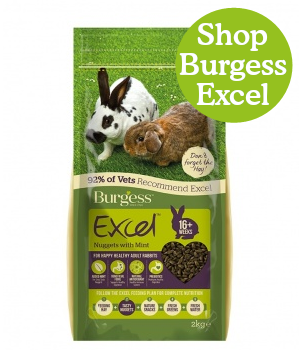 The Burgess Excel Chinchilla Nuggets are a delicious, complementary food for chinchillas that is high in fibre and rich in vitamins & nutrients to help keep them in tip top health. 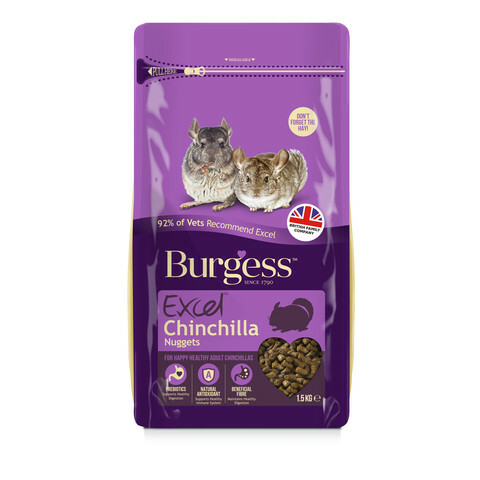 The Burgess Excel Chinchilla Nuggets are suitable for both Chinchillas and Degus of all ages. Step 1: Burgess Excel Feeding Hay Premium quality Timothy Hay and grass foods should form most of your pets’ diet. 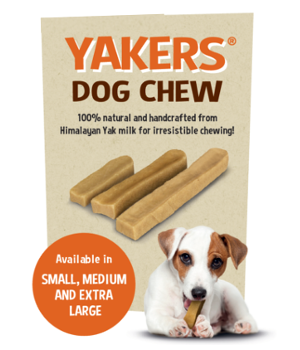 They are especially good for dental health as the gnawing action required by the fibrevore to eat them, helps to wear down teeth. The teeth of all fibrevores are constantly growing and overgrown teeth can be the cause of potentially fatal problems. 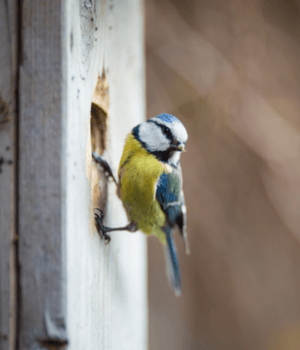 Hays also play a vital role in digestive and emotional health as they provide the bulk of the diets’ indigestible fibre and encourage foraging. Step 2: Burgess Excel Nuggets Excel Tasty Nuggets are a single component food and are high in ‘Beneficial Fibre’ which means they’re great for digestive health. 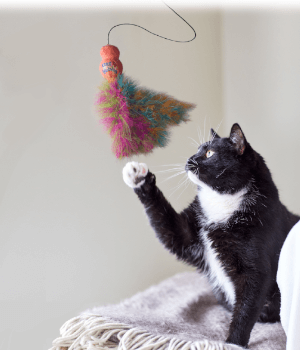 All our Excel Nuggets have added vitamins, minerals and prebiotics to help with healthy eyes, skin and coat. 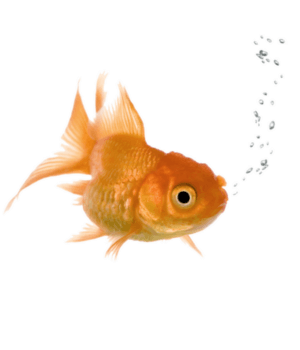 Feed your fibrevore an egg cup full of Excel Tasty Nuggets every day as part of The Excel Feeding Plan. Step 3: Fresh Greens Fibrevores can be fed fresh greens to give additional nutrients and to provide some variety. You need to be careful which greens you feed them and how much. Beneficial Fibre 31% • Crude Protein 17% • Crude Oils and Fats 4% • Crude Fibre 16% • Crude Ash 6.5%. Vitamin A (retinyl acetate) 30,000 iu/kg • Vitamin D3 (cholecalciferol) 3,500 iu/kg • Vitamin E (dl Alpha tocopherol acetate) 140 mg/kg • Vitamin C (L-ascorbic acid monophosphate) 825 mg/kg • Copper Sulphate Pentahydrate 30 mg/kg • Iodine (Calcium lodate anhydrous) 1.17 mg/kg • Sodium Selenite 0.67 mg/kg • Ferrous Sulphate Monohydrate 200 mg/kg • Manganese Sulphate Monohydrate 187.5 mg/kg • Zinc Sulphate Monohydrate 257.1 mg/kg • DL- Methionine 1,240 mg/kg. Tocopherol Rich Extracts of Natural Origin (E306) 100mg/kg.